strong>April 7, 2015 – The 2nd and 19th Space Operations Squadrons took satellite control authority of the GPS IIF-9 Satellite on April 3 at Schriever Air Force Base, Colorado. 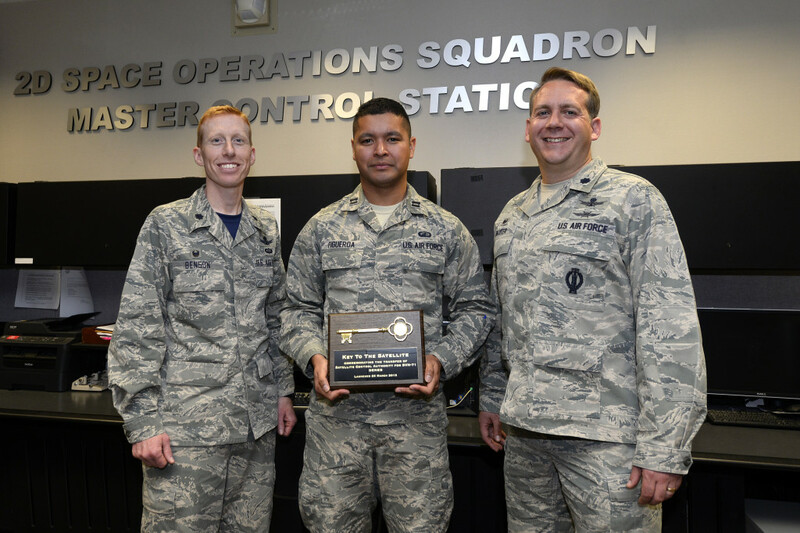 Representatives from the Space and Missile Systems Center, 14th Air Force and the 50th Space Wing, including 2 and 19 SOPS commanders, connected through a teleconference to formally accept command and control of the latest GPS satellite. The U.S. Air Force and its industry partners launched the ninth Boeing-built Global Positioning System (GPS) IIF satellite aboard a United Launch Alliance Delta IV launch vehicle, March 25. This launch marked nearly 40 satellites in the constellation’s medium Earth orbit. According to Lt. Col. Sam Baxter, 19 SOPS commander, this is more meaningful than just improving civilian applications for GPS. “We’re improving the capabilities for the warfighter so they have a much more reliable GPS signal,” said Baxter. The constellation provides more than 3 billion users with precision timing which, enables time stamp for ATM transactions and stock market exchanges, as well as directions and countless other applications. Benson and Baxter agreed this is due to the significance GPS contributes to the world. One satellite can cost upwards of $245 million, but the return on investment is worth it, according to Baxter and Benson. “The oldest satellite in orbit is 24 years old and its life span was only anticipated for seven a half years,” said Benson. The units spent months in advance prepping for this transfer. The uniqueness of the partnership between active duty 2 SOPS and Reserve 19 SOPS is one that compliments the other with continuity in experience. Both commanders were impressed with the effort and outcome of the launch and transfer of authority.